- Chris Solinsky from a Recommended Read Sports Illustrated article by Tim Layden. Solinsky sometimes gets the cold shoulder on the easy run days because he runs too fast for Simon Bairu and company. 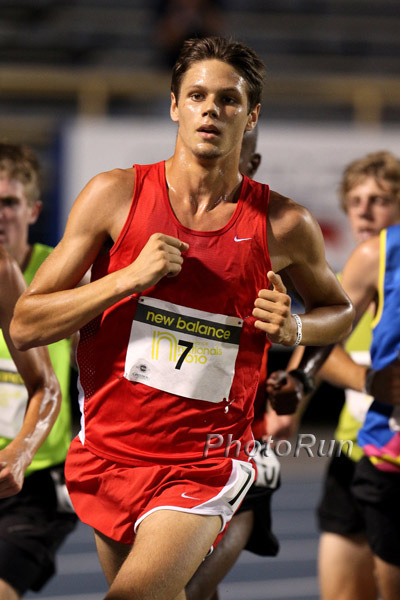 Solinsky won't be running USAs but you can check out our Day 1 preview including the 10k finals. 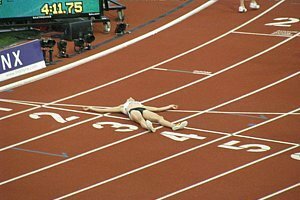 How does Galen Rupp win the USATF 10K? Which Seinfeld episode is your favorite? 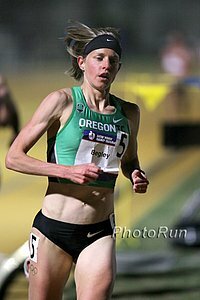 LetsRun.com Previews 2010 USAs Day 1 Iowa favorite and now-pro Lisa Koll will challenge underrated Amy Begley in Thursday's 10,000m final while Galen Rupp should get an easy win against and overmatched men's field. The 1500's and women's 800 will also get under way. See our previews and predictions for the mid-d events as they should be the best of the weekend in Des Moines. 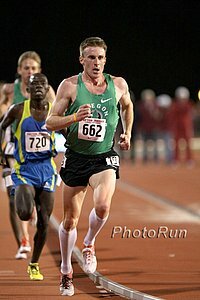 Recommended Read: Tim Layden of Sports Illustrated Profiles Heavyweight Inspiration Chris Solinsky Schumacher calls Solinsky's recent 5000 "the dumbest 12:56 in history", Bairu says Solinsky could have gone 26:40 at Stanford, and everyone chimes in on how Solinsky is the biggest and most durable distance runner they've ever seen. Interesting: Only 16 Men Faster Than Solinsky Over 5 And 10,000m Doug Binder and our friends at TrackFocus.com in Eugene looked at all-time 5,000/10,000m PRs and found only 16 guys who ran faster than Chris Solinsky's 26:59 and 12:56 in their careers (and at least one of them got banned for drugs). Chicago Marathon Announces Davila, Lewy-Boulet, DeReuck as Top Americans Back in April, Chicago 1-upped New York on the men's side with Ryan Hall, but NY returned the favor as Shalane Flanagan trumps the Chicago women. iResults - New App Lets You Get Your iTime Instantaneously From Finish Line Volunteers Or iFamily iResults: They wait 30 minutes for you to finish the 5k ... you get your results immediately. 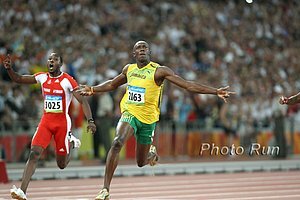 Bolt's Backwards 100? Wild Irishman elephant polo world champ Colin Carroll is trying to pull off the first edition of the Paddy Games and got in the news by saying he's talked to Usain Bolt about setting a Retro 100m WR. LRC 2010 $2,010 USATF Prediction Contest You've got until 5:45 Eastern on Thursday to get in your picks. Eternal bragging rights on the line for the winners. We will give $2,010 for a perfect ballot for sure. *TV: Coverage Starts Friday 8pm Thursday's 10k finals will be online live along with any other non-televised event. *Updated Entries Some of your contest picks may scratch an event late, so check in here if you want to be sure. Great Read: Talented Acosta Rights The Ship And Reaps Benefits AJ Nation was probably having a bit too much fun early on in his college years but has gotten himself out of Vin Lananna's dog house with his new dedication (and he basically won his team a PAC-10 title this year). He's still got another year of eligibility and will run the 1,500 at USAs. Lisa Koll Signs With Peter Stubbs Management (PSM) As Agent All of Stubbs' athletes including Ritz, the Gouchers and Shannon Rowbury can be found here. Robby Andrews' Parents, Coaches Trying To Take Things Slow Andrews will be running the Jr. 800 at USAs. Dad says listening to his wife and not taking Robby to USA Jr. Olympics events was the best advice he's ever gotten. 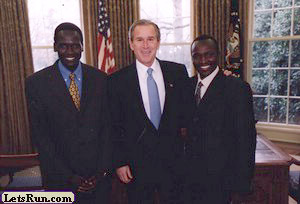 Lomong Determined To Help His Homeland He hasn't been running too well in 2010. He'll be in the 1,500 field, which is one of the best events at the championships.